Where in the World is Mrs. Fucoloro? : Who will be the first to find the(ir) Holy Grail? Interesting development in #LPG12. We have a tie between Team Cange and Team Gallina. Both teams have 49 plates. Team Cange has been at 49 for ten days waiting patiently for a challenging, Delaware to come their way. Team Gallina found their 49th today and only have to spot a very doable, Wyoming. Both are waiting to see their respective Holy Grails. Good luck brave Knights of the License Plate Table! 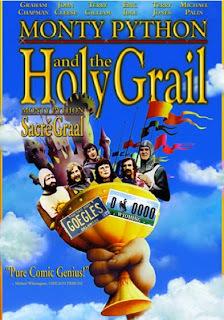 Onward to Camelot to find the Holy Grail!